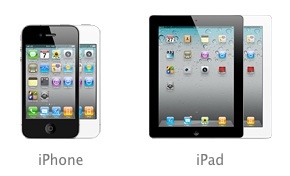 'iPad HD' to launch together with iPhone 4S/iPhone 5? Rumors has been flying around the blogosphere that Apple might launch ‘iPad HD’, a term coined by This is my next blog during this fall together with iPhone 4S/iPhone 5 and also Pro-level apps. It is believed that Apple will launch ‘iPad HD’ with 2048 X 1536 Retina Display to target those professionals in the photography or videography industries. It is also said that Apple will debut iPad-version at least one of its pro-level apps such as Final Cut Pro or Aperture together with the ‘iPad HD’. The report also clears another confusion that whether iPhone 4S/iPhone 5 will have the same design as iPhone 4. Apple executives are not too happy with the iPhone 4 design and are planning for a smaller and lighter iPhone. Apple are testing the smaller and lighter design in iPhone 4 enclosure. No wonder it leads to the confusion in the Internet about the design og iPhone 4S/iPhone 5. Next story Samsung Galaxy Tab 10.1″ Rumored Price in Malaysia is RM2,100? Previous story New iPhone 4 Ads: AirPlay & FaceTime!